The TMJ is where your upper and lower jaw form a hinge that controls the opening and closing of your mouth and all the other movements your jaw is capable of. Over time, that connecting point can get worn down, either by a bite misalignment, too much forced being applied when biting, teeth grinding or other factors. This can sometimes result in inflammation, a limited range of motion and uncomfortable jaw popping. Thankfully, along with treatment from your local dentist, there are some things you can do on your own to help the situation. Relaxed Jaw Exercise – To perform this exercise, rest your tongue gently at the top of your mouth behind your upper teeth. Slowly move your teeth apart while relaxing your jaw muscles. Goldfish Exercises (Partial Opening) – This movement involves you placing your tongue on the roof of your mouth and one finger in front of your ear where the TMJ is located. Then, put your middle finger on your chin and drop you jaw halfway and then close. Goldfish Exercises (Full Opening) – For this exercise, use the same technique as above, but this time open your jaw as far as you can. Be sure to use the partial method first, though. Chin Tucks – With your shoulders pulled back and chest up, pull your chin straight back toward your neck, basically creating a “double chin” effect. Hold for three seconds and then repeat 10 times. Resisted Opening of the Mouth – For this one, place your thumb under your chin. Open your mouth slowly, pushing gently against your chin for resistance. Hold this position for three to six seconds, and then close your mouth carefully. To find out more about how you can reduce the symptoms of TMJ disorder and get the expert care you need, reach out to your dentist in Bonita Springs to schedule an appointment today. Dr. Rich Gilbert received his dental degree from the University of Florida College of Dentistry. Along the way, he has also earned the prestigious Mastership Award from the Academy of General Dentistry, its highest honor. 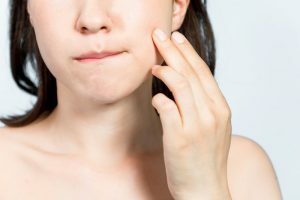 Dr. Gilbert helps patients get the relief they need from TMJ disorder at Pelican Landing Dental and can be reached for more information through his website.